"It's a glorious collection of holes on a breathtaking site along Bass Strait, a notorious stretch of Australian seacoast that once shipwrecked many voyages. Its routing is heart-pounding, starting along rocks and crashing surf, moving inland but not out of the wind, returning to ocean edge at the downhill 10th, pitch-shot 11th and drivable par-4 12th, then wandering into dunes before a crescendo closing hole curving along Victoria Cove beach." 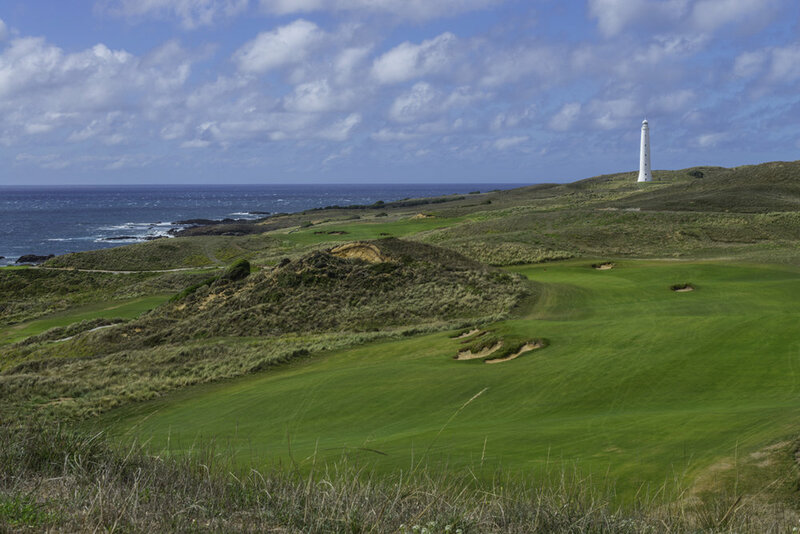 Cape Wickham, ranked #24 in the World by Golf Digest (January, 2016), is a unique and beautiful place, remote today but even more so when its famous lighthouse was built in 1861 to warn seafarers of the treacherous waters of the Bass Strait. The golf course is located next to the lighthouse and the iconic structure is visible throughout the golf course and is prominently viewed from the clubhouse. The land the site occupies is amazingly diverse in how the golf holes and features interact with the ocean. 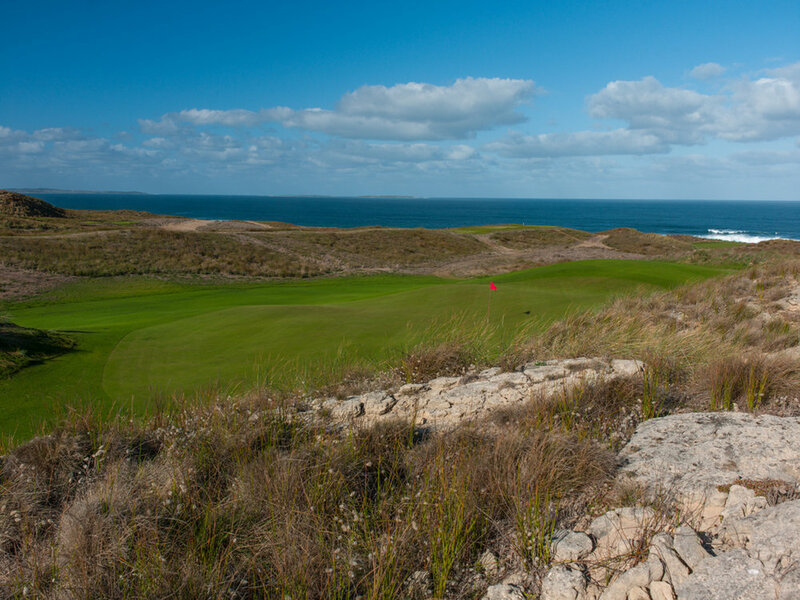 Eight full holes play along the coast while three other green sites and three other tees are adjacent to the water. 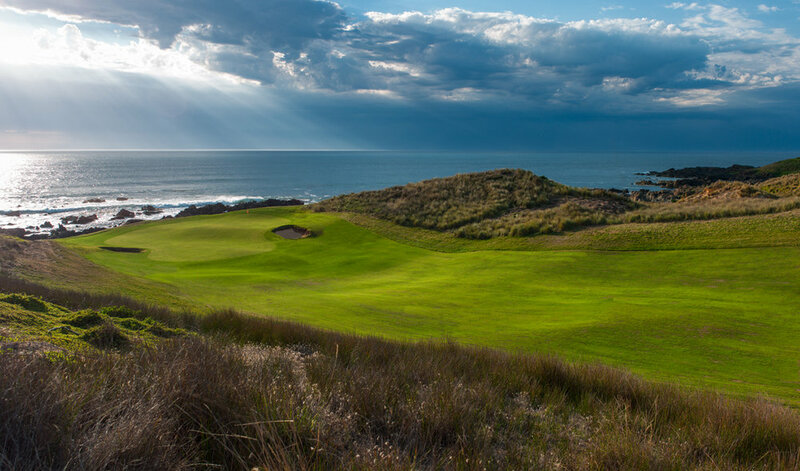 Importantly, holes attack the water from all different directions of the compass and at various heights to the sea, from the clifftop 1st to the beach at the 18th, with the 16th tees perched on rocks at the seashore and the 11th practically in the Bass Strait at both tee and green. To have the opportunity to work on a traditional links golf course in such a beautiful setting is a dream come true. 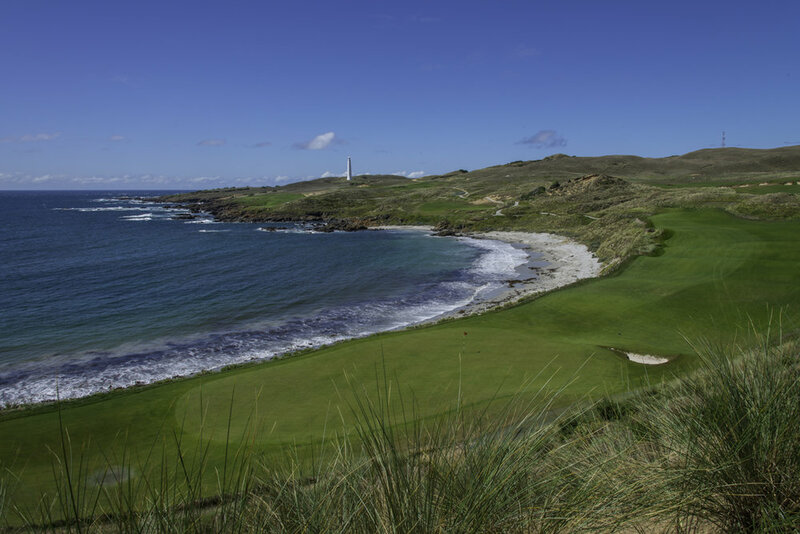 To take advantage of all this project had to offer, Mike DeVries brought his family over to King Island for 6 months in 2013 to build the course. The chance to experience a distant land and culture by all was unforgettable and a journey they will treasure all their lives.